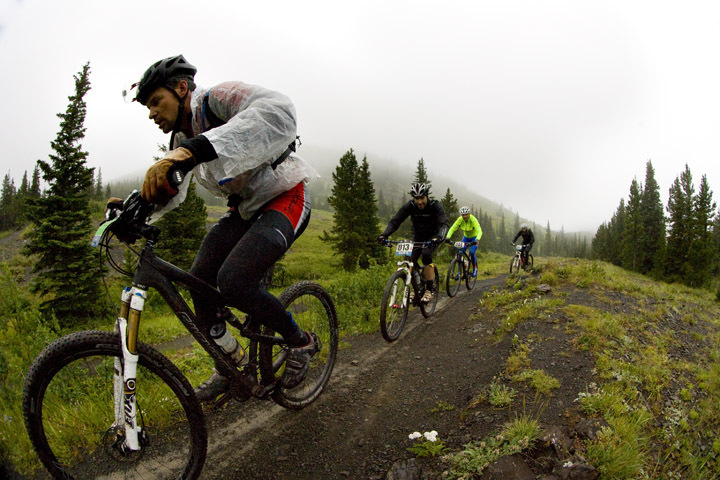 We recommend a mid-travel (100mm-120mm) cross-country or trail mountain bike for the TransRockies Classic. Some more competitive racers may prefer to use a hardtail for greater efficiency on road sections and climbs, but most riders will enjoy the comfort of full suspension on longer days. On most days a moderate tread 2.2” tire is recommended, although in the case of wet weather a slightly wider (2.3”), knobbier tire may be advantageous, if you wish to bring a second set of backup tires. All your gear for the week needs to fit into one large duffel bag (approx. 120L). Your bike box and extra luggage with extra clothing for travelling etc,. will be transported directly to the finish line. Please make sure that all your luggage is clearly identified.